What is the LinkedIn Social Selling Index? LinkedIn’s Social Selling Index (SSI) is a sales solution rolled out by LinkedIn back in October 2014. The index takes your organisation’s LinkedIn activity based around the four pillars of social selling (detailed below), and quantifies it on a 1 - 100 scale index. 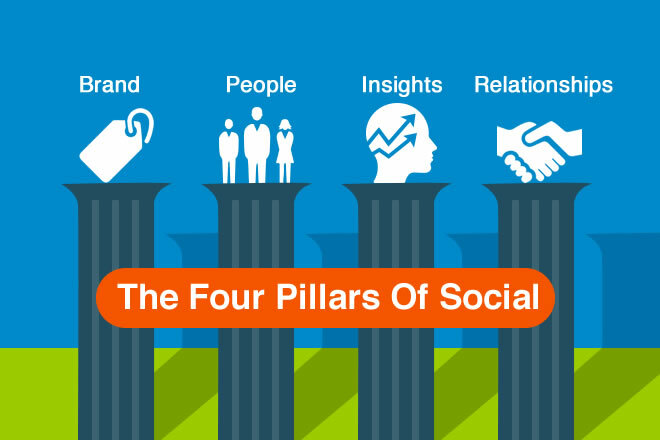 The more relevant your activity to the four pillars, the higher your score. Essentially, the SSI promotes precisely how organisations, particularly sales teams, should engage with prospects on social media. The SSI score is designed to help you gain visibility into company’s activity, help sales staff uncover new opportunities, and allows you to benchmark your score against peers and competitors. You can find out your SSI score here. Sales staff with a high SSI rank have 45% more opportunities per quarter, are 51% more likely to hit sales quotas, and may be 80% more productive in their engagement with prospects. Social activity is increasingly important to SEO, and forms a crucial component of Inbound Marketing at every stage of the buyer's journey. Key to this activity is social selling: the act of using social channels to help prospects; providing them with the advice and resources they need to progress through the funnel. The aim of social selling is to add value, to share helpful content and engage with potential buyers to build strong and prosperous relationships. For a sales team as a whole, utilising social selling can bring greater opportunities and success. LinkedIn Research has also shown that sales staff with a high SSI rank have 45% more opportunities per quarter, are 51% more likely to hit sales quotas, and may be 80% more productive in their engagement with prospects. To support social selling activity and boost your LinkedIn SSI score, there are ‘Four Pillars of Social’ that marketers and sales teams should know. As each pillar is worth 25 points on the SSI, we’ve included some tips on how to improve your activity, and raise your score. If you have a strong brand presence across social media, it cements your industry credibility and builds trust. Presenting yourself well - as a thought leader on Linkedin - can result in increased enquiries, and better responses to communications. How do I build/create a professional brand and boost my SSI score? There are many ways to use LinkedIn to find B2B prospects. As the SSI takes into account how well you interact on LinkedIn, and analyses the value of connections and relationships, it’s worth getting right; for your sales and your score. How do I find the right people and boost my SSI score? Active engagement is integral to successful social campaigns: if you’re not engaging with social prospects at every opportunity, you won’t get far. Succeed with engagement and you’ll do more than raise your SSI; you’ll contribute to lead relationships and build long-term credibility with social audiences as a whole. How do I engage with insights and boost my SSI score? Join groups. Join and actively engage in niche discussion groups. Use these LinkedIn group tips if you’re not sure how to start. Effective social selling revolves around assisting prospects first, and selling product second. Sales should be a by-product of the assistance you give your audience. Solve pain points and build genuine trusted relationships, and you should see sales success. How do I build strong, trusted relationships and boost my SSI score? If you feel your score is lacking or just want to use LinkedIn more effectively, the steps above will boost your SSI improve your use of LinkedIn as a sales tool. Daily engagement is the best way to boost your potential, and as little as 10 minutes of dedicated activity a day can make a difference. Remember for B2Bs, LinkedIn is 277% more effective than Twitter or Facebook for lead generation. But unless you’re active in the space, you won’t reap any of the benefits!